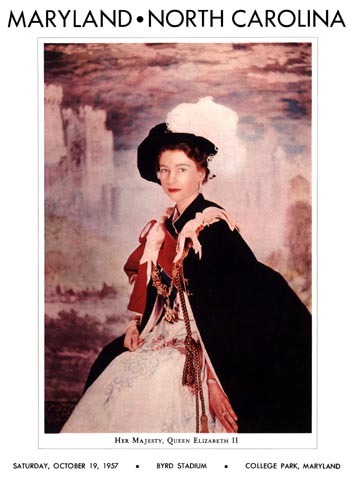 You might ask why Queen Elizabeth was gracing the cover of an American football game program. The problem was a simple misplacement of her American-English dictionary: She thought she's been invited to a soccer match. Meanwhile on the field, the Terps made the first (and only) return visit of their former coach Jim Tatum an unhappy one, as they beat his Tarheels with ease.